Dr. Eric Chaconas became the assistant program director for the Department of Physical Therapy at the university in 2014. He is also an assistant professor in the Doctor of Physical Therapy (DPT) program, where he has served since 2008. Prior to joining the university, he worked as a physical therapist in both the outpatient orthopaedic and home health settings. He is a member of the American Physical Therapy Association (APTA), as well as its Florida chapter (the FPTA), the American Academy of Orthopaedic Manual Physical Therapists (AAOMPT), and the National Strength and Conditioning Association (NSCA). 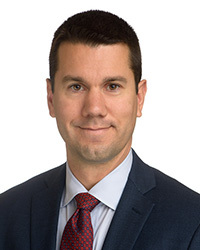 He serves as vice speaker of the FPTA’s Assembly of Representatives’ Board of Directors, and formerly served as chair of the FPTA’s Government Affairs Committee and as a FPTA federal affairs liaison. Dr. Chaconas also regularly volunteers. He is currently on the Good Samaritan Health Centers’ Wildflower Clinic Board of Directors and volunteers at the Pink up the Pace breast cancer fundraising organization. He has also served as a volunteer physical therapist for the Good Samaritan Health Centers’ free medical clinic. He was honored with the FPTA’s Rick Shutes Committee Service Award in 2011 and the APTA’s Emerging Leader Award in 2010. He is a 2008 AAOMPT Fellow, completed a Manual Therapy Certification (MTC) through the university in 2006, and an Orthopaedic Manual Physical Therapy Fellowship in 2008. Dr. Chaconas is currently engaged in both research and clinical practice with an emphasis on orthopaedic and sports rehabilitation.